Welcome to Day #5 of Chocolate and Banana Theme Week. 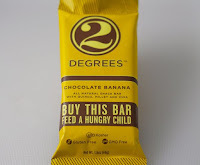 Today's Chocolate Banana bar was made by Two Degrees, Inc. (San Francisco, CA). This snack bar had a soft crunch and easy chew -- and was slightly less sweet than many bars. 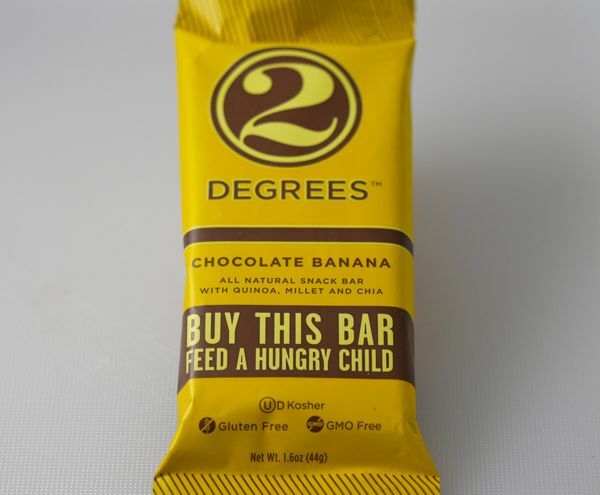 The addition of fiber (quinoa, millet and chia) made this bar with natural banana and cacao flavors more satisfying. 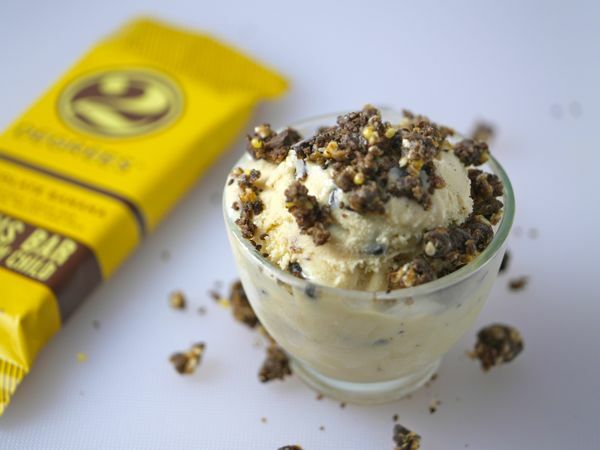 I also tried crumbling bits of this bar on a tiny cup of rich, creamy banana gelato. It provided a nice contrast of textures; and I enjoyed these crumbles more than a traditional ice cream topping—such as chocolate syrup or sugar sprinkles. Dark chocolate contains magnesium and iron, and bananas are high in potassium. Gelato can provide a healthy dose of calcium. So, this morning meal was relatively balanced for a dessert breakfast.